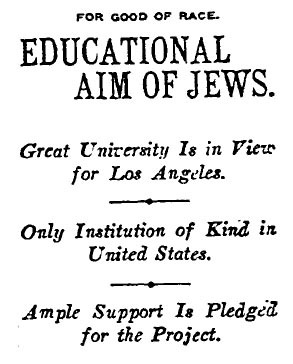 Arndt told The Times that he hoped to open the new university soon after Rosh Hashanah, which began at sundown Sept. 8, 1907. The Times notes that Cantor J. Weinstock has been engaged for Rosh Hashanah services of the Independent Sons of Israel. Unfortunately, there are no follow-up stories about the attempts to found a Hebrew university and very little information about Arndt, except for the footnote that in 1911 he performed a marriage between a Muslim bride (Fanny Alishabron) and a Jewish groom (Charles Levin). 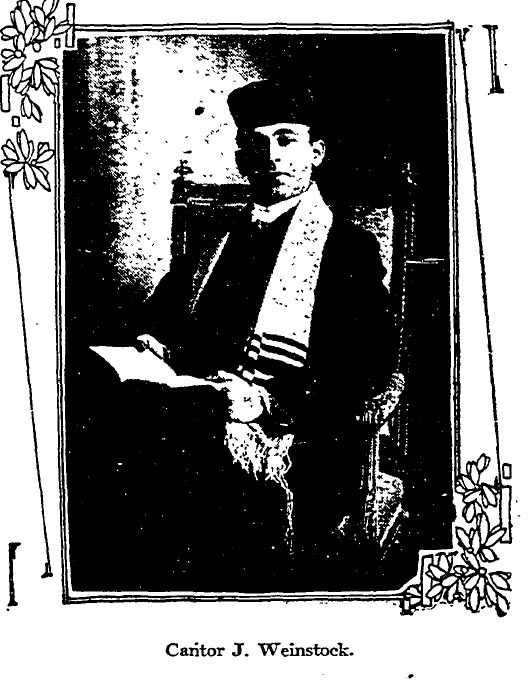 We also know that Rosh Hashanah services were held at Temperance Temple, operated by the WCTU, at Broadway and Temple, a site now occupied by a generating station across from the Cathedral of Our Lady of the Angels. This entry was posted in 1907, 1908, 1909, 1911, Black Dahlia, Books and Authors, Immigration, LAPD, Religion, Streetcars. Bookmark the permalink.